Proper cleaning is the best way to ensure that your teeth and gums stay healthy. By brushing your teeth twice a day and flossing daily, you can help remove harmful bacteria and debris that would otherwise turn into plaque! Plaque (a thin film of bacteria) that is left on your teeth can irritate your gums—causing them to pull away from the tooth and forming a portal for bacterial entry, which can lead to gum disease. By knowing the signs of gum disease, you can stop it from becoming a bigger problem. Common signs of gum disease include bleeding gums when brushing or flossing, gum tissue pulling away from the teeth, swollen gums, bad breath, loose teeth, and a change in bite. You should also be aware of any genetic or other risk factors. Those at higher risk for gum disease are those who use tobacco products, those using medications (like steroids), teenage patients, pregnant women, those taking birth control, and those with a family history of the disease. 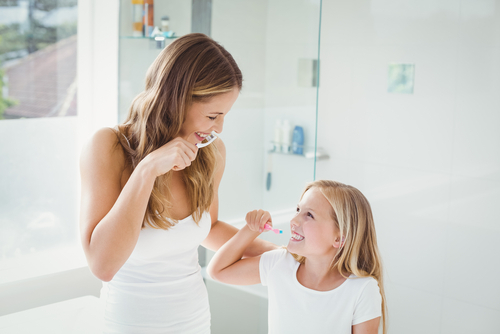 While regular brushing at home can help prevent gum disease, it’s also very important not to skip your regular professional cleanings. Your family dentist can remove plaque and tartar, and identify signs of gum disease that you may not have noticed. If you do notice signs of gum disease, don’t panic! Early cases of gum disease are often treatable with a regular cleaning or deeper cleaning called scaling and root planing. Letting gum disease go untreated can put your tooth and bone health at risk—so don’t ignore the signs! If you notice any evidence of gum disease, contact Schultz Family Dental right away—Dr. Schultz can provide you with a professional cleaning to stop gum disease in its tracks, and restore your healthy smile!